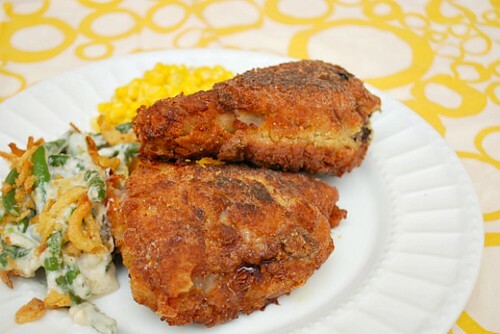 I really liked that this recipe calls for baking the chicken versus frying. Aside from the calories and fat saved, I enjoyed not having to babysit the chicken while cooking it in oil. This is great to make ahead in the morning, place in the fridge to chill and then pop in the oven later in the day for dinner. 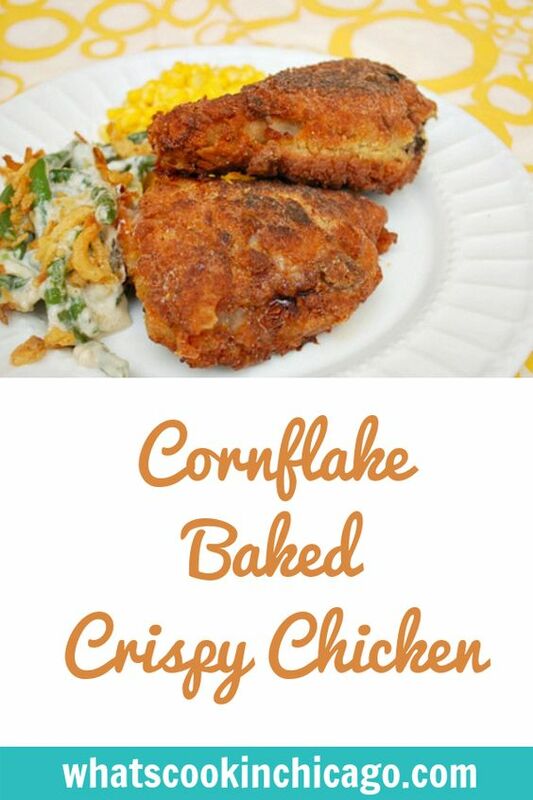 Using cornflakes added a really nice crisp and crunch too! I served this with a green bean casserole and sweet corn - comfort cooking at its finest! Crush the cornflakes by placing them in a big resealable plastic bag, carefully pressing the bag to push out the air. Seal up the bag (with as little air inside as possible) and run over the flakes with a rolling pin. Open the bag and pour the crushed flakes into a wide bowl or onto a plate. I mostly bake my fried chicken, sounds kind of funny right? That is going on the menu. I knew I bought cornflakes for a reason!